When Emma’s mom and dad expect her to star in the role of angel in this year’s Christmas pageant wearing a full-on angel costume (halo and all! ), Emma objects. But Mom and Dad aren’t buying any of her excuses. Will Emma become part of the adventure of the real Christmas story—and discover that her little role in the Christmas pageant in little old Spooner, Wisconsin, really isn’t so little after all? 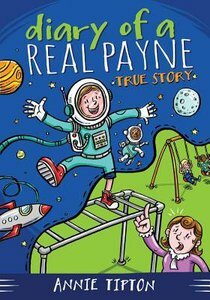 About "True Story (#01 in Diary Of A Real Payne Series)"